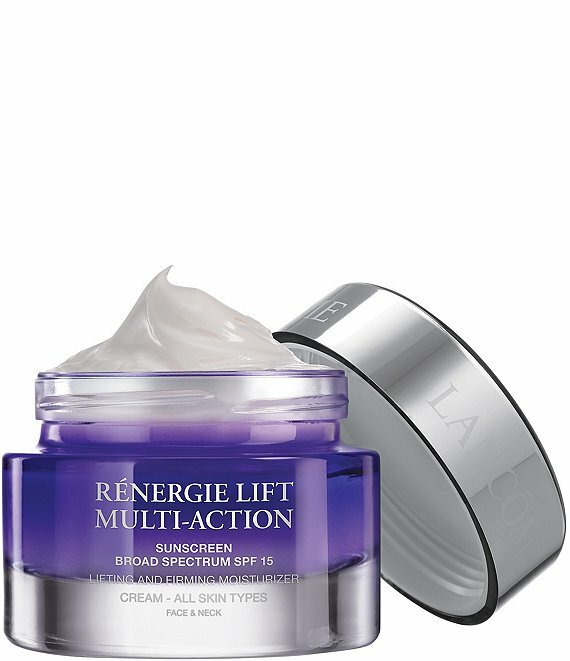 Introducing the Super Lifting partners from Lancôme's #1 Anti-Aging franchise! Redefine facial contours with the new multi-action lifting and firming effect. With time, alterations in the skins structure can affect firmness, causing the skin to lose its youthful quality. In 4 weeks, the skin appears younger and firmer. It feels tightened, as if lifted. Smoother, the skins surface appears refined. All facial zones appear visibly rejuvenated. *Based on 4 ingredients tested separately in-vitro. Also available in a Day Cream for Dry Skin with SPF 15, Night Cream and Eye Cream (sold separately).